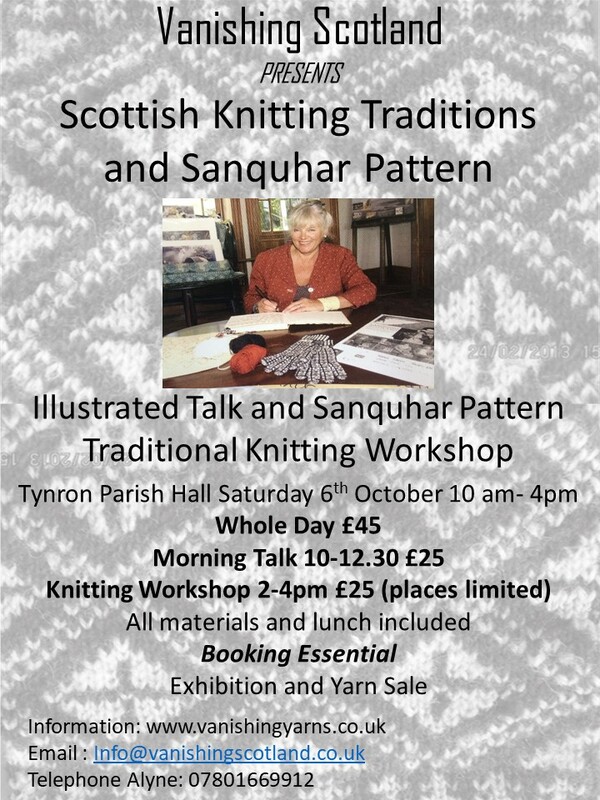 The Illustrated talk will give an insight into the knitting collection, the audio clips from Sanquhar knitters and the cultural history which forms the Ethnological study from the Vanishing Scotland Archive. The workshop participants will get the Scottish Traditional Knitting Pattern ‘Muffatees in Sanquhar Pattern’ a set of 4 needles and wool in contrasting colours, giving them the instructions for knitting in the Shepherd’s Plaid Pattern. Tynron Parish Hall, is in Dumfriesshire, South West Scotland. postcode : DG3 4JZ. Christelle you are always there, on the ball!! no problem Alyn! Hope you are well, your workshop sounds sooo interesting!